I recently was able to complete 2 quilts for Jenny from Decorah, Iowa. 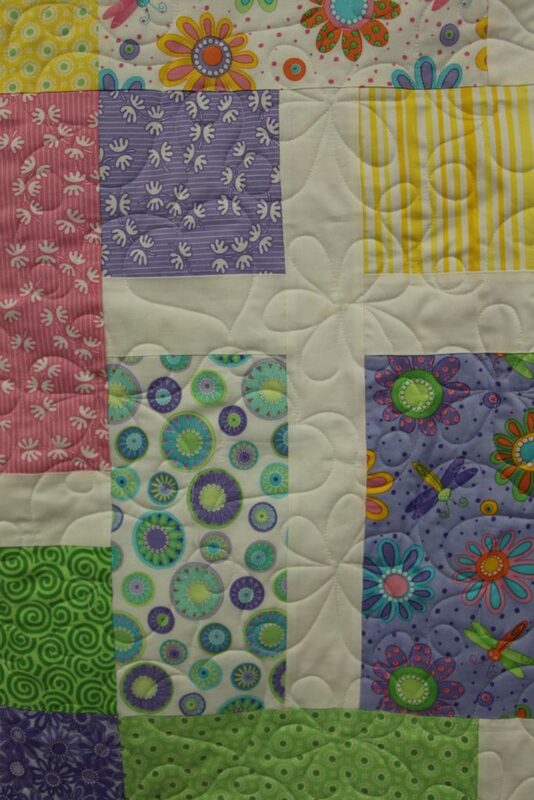 She had a deadline for the one quilt and her regular longarm quilter was not able to quilt them in time. She stopped in at Red Roxy’s quilt shop in Decorah and the ladies there referred her to me and I was able to complete them and get the quilts back to her in about 1 1/2 weeks. By the looks of the quilt can you guess who it is for? She made two quilts for her two granddaughters who are turning, 2! I truly admire every quilt I work on, and these were just fun fabrics to quilt because these look like something our three daughters would have made for themselves years ago. Both quilts were made using the fabric from designers Me and My Sister that Jenny had purchased from several quilt shops. 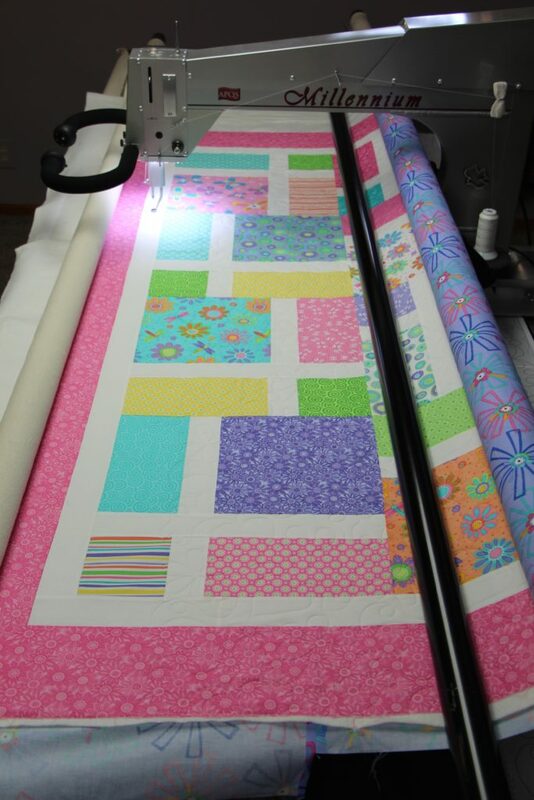 For this first quilt she used a layer cake and I am guessing additional yardage for the white strips. 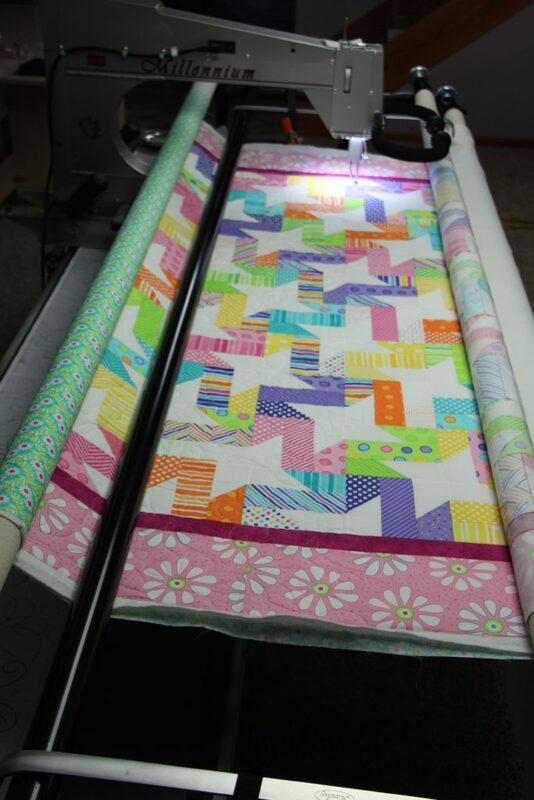 The pantograph she choose is Hearts in Bloom which I feel complements the quilt nicely. She was able to view the pantographs on this blog page and then decided which ones she liked best. We choose a white thread as to not distract from this lovely quilt. 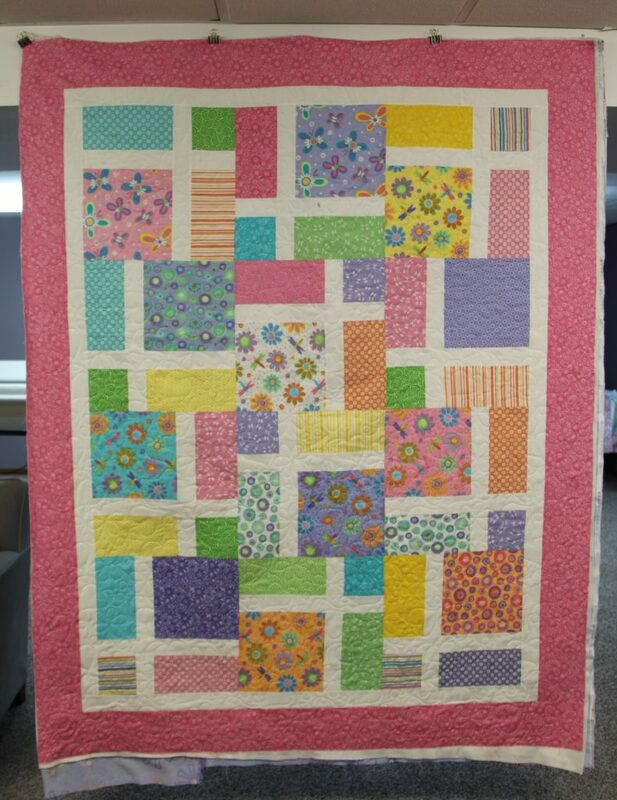 The quilt pattern is from the Missouri Star Quilt company’s Block Magazine. Here is the cute backing she used and I would think the granddaughter will want to have this side up sometimes as well! This is a full photo of the finished quilt measuring 62 x 78 a wonderful size that this little girl can grow into. Here is Jenny’s second quilt measuring 63 x 74 another nice twin size. Look at this cute backing fabric as well, bight green and white flowers with hot pink centers! See how the fabrics are similar but the pattern, and borders are different. Jenny like all of my customers have exceptional quilting abilities, I mean this sincerely and all my customers quilts are easy to quilt. 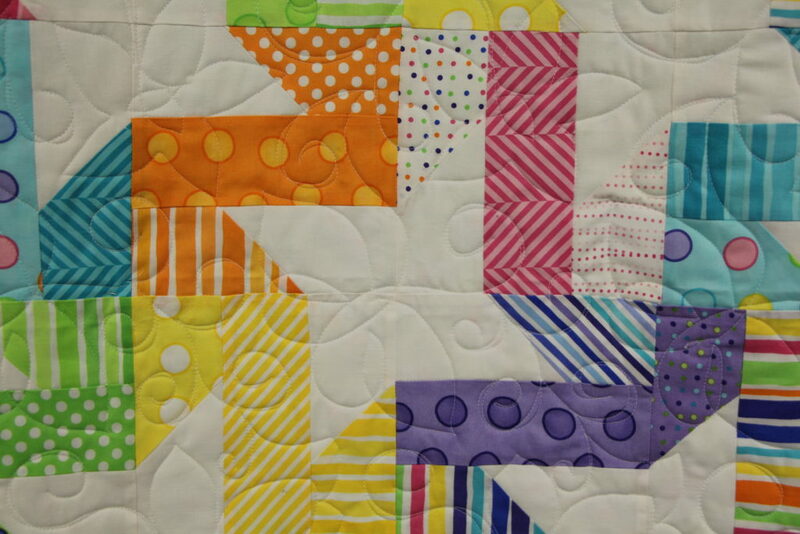 The piecing is spot on, there are no wavy borders and the back of the quilt tops are just as beautiful as the fronts. Kudos to all my customers for have the knowledge and the patience to create these wonderful quilts! On this quilt she added a darker inner border. 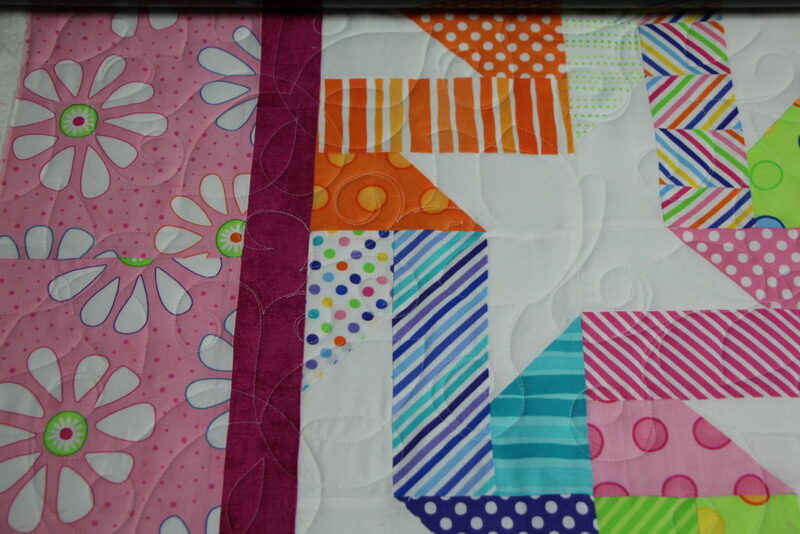 I like how it separates and frames the quilt center from the outer border. 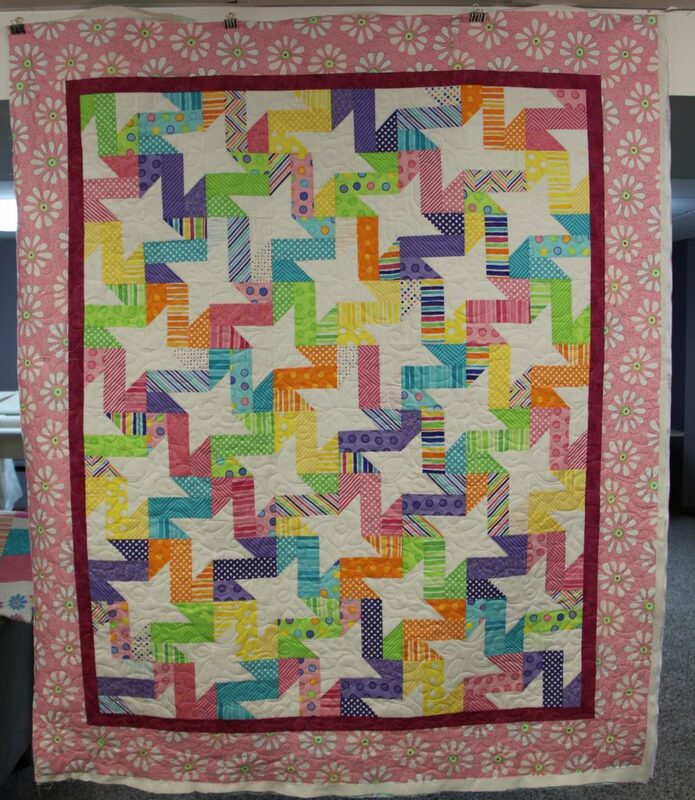 This quilt was made using a Merry’s Stitchins pattern called All A Flutter. Just a side note about Merry, her shop is just south of Jesup, Iowa about 45 minutes from here. She has a beautiful shop and creates many quilt patterns. 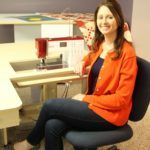 Her daughter, Julie Wurzer from St Lucas, Iowa owns the company Patchabilites and is well known in the US. Feel free to check them both out. Wonderful people and wonderful designers. The pantograph Jenny picked is Flight of Fancy, see how they go together with the butterfly design. This entry was posted in Uncategorized on June 29, 2017 by Carla. Fun quilts! Bright, cheery and scrappy. Thanks for adding the links so I can check it out. 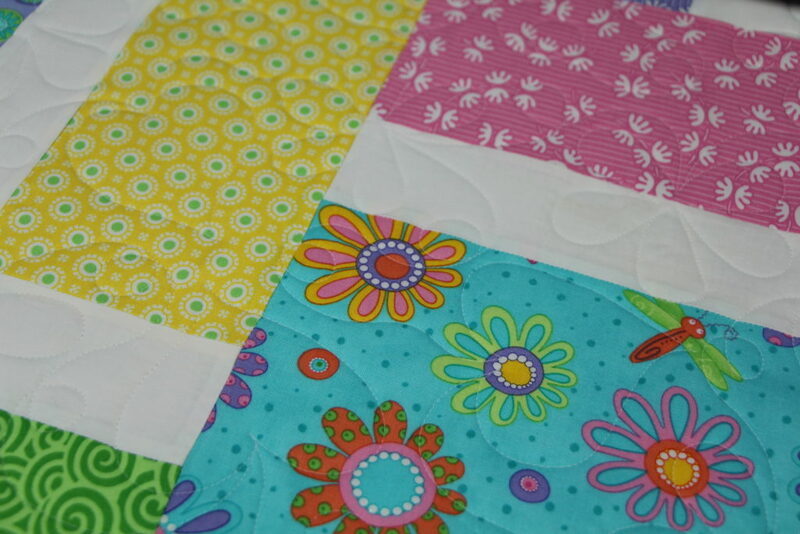 Love girly quilts in fun, happy fabric!!!! 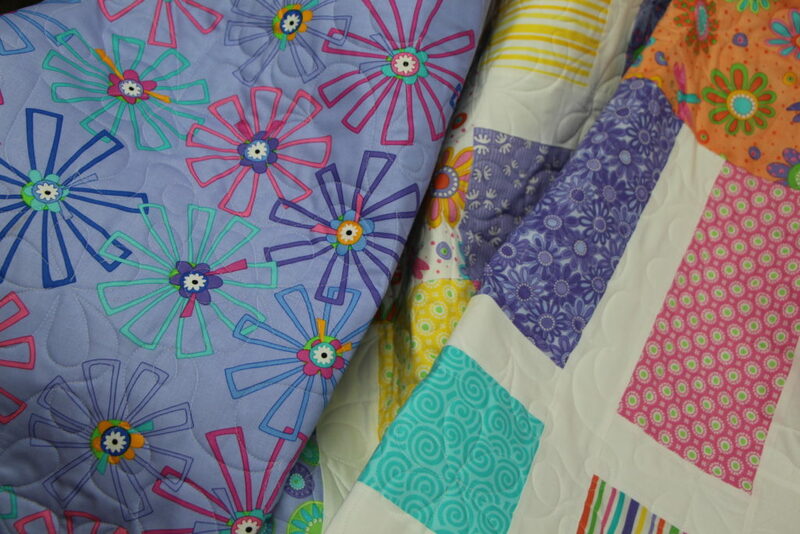 Both quilts are adorable and perfect for little girls!! The pantos matched each quilt perfectly! I would love to make a quilt using the second pattern! Thanks Carla for doing such a great job in a short time. I loved how they turned out! Can’t wait to see the girls wrapped up in them! You’re welcome Jenny and good doing business with you!